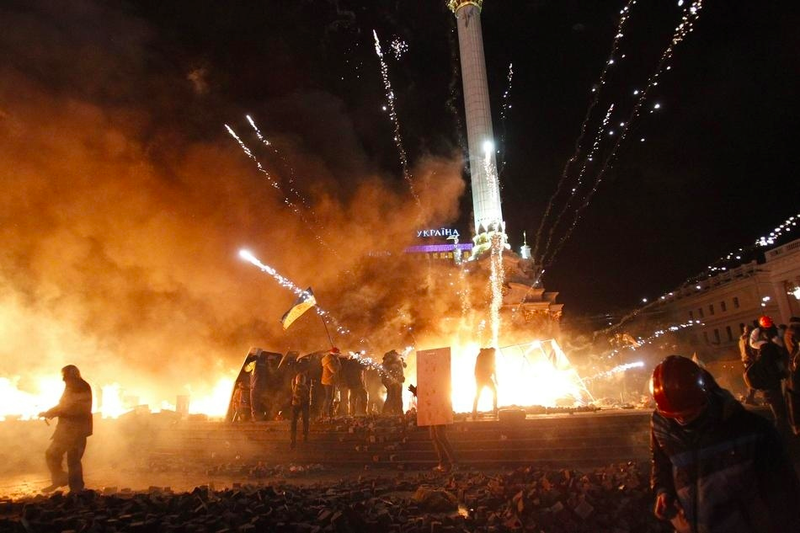 I'm so worked up about Euromaidan and I feel like there's nowhere for my thoughts and feelings to go. I haven't worked out exactly how to say the things that I am thinking and feeling yet, but as someone who is very close to their Ukrainian heritage and the history of the country and region it all hits so close to home. Reading Kyiv Post's live updates these past few days have brought me to tears several times. After reading today's updates during a break in my professional responsibility for government lawyers class I wanted to raise my hand and relate our discussion of truth and candor in government lawyering to the situation in Ukraine, but I was both too raw and too wary of derailing our class discussion to do so. If people are interested, I could throw up a post with some links out to analysis and updates that are particularly on point, as well as to folks on the ground to follow on Twitter. But for now, I'm just going to leave a few things here without further comment while I process.